The Kiwanis Club of Greater Parsippany is pleased to introduce our “Mission Partners”.  One hundred percent of your Mission Partnership contribution will be allocated to one or more of the programs supported by the Kiwanis Club of Greater Parsippany. Our mission is: “to change the world one child and one community at a time”. The programs sponsored by Kiwanis include: sponsored youth clubs serving 500 students (Key Clubs in both high schools, Builders Clubs in the middle schools, and K-Kids Clubs in elementary schools), Parsippany Day Care Center; Parsippany Library; and numerous other 501(c)3 organizations that serve children and families. In addition to children’s needs, we meet the basic needs of the less fortunate families in our community by providing food and food cards, toiletry items, and blankets by working with the Parsippany-Troy Hills Township Community Center. The Club supports state and national organizations that serve the needs of children and their families.